Sheppard worked on a research paper issued in the journal Nature in 2014 that defines the discovery an unknown object on the edge of the Kuiper Belt. The astronomers named it "Biden." It's no bigger than a simple dwarf planet like Pluto, and they estimate that it's nearly three times the distance that Pluto is from Earth, or approximately 9 billion miles away. Actually, there's proof that quite a few of these unknown objects, none of them bigger than a dwarf planet, are wandering at the edge of the Kuiper Belt, according to the paper. And they aren't just arbitrarily moving around out there: They all seem to follow a parallel orbital pattern, although a really odd one. This means it's imaginable some particularly large, really distant planet, called a "perturber" in Sheppard's study, is huge enough that its gravity can pull Biden and the other unknown objects into a parallel path through space. Unlike Biden, the "perturber" could be nearly four times the size of our Earth. 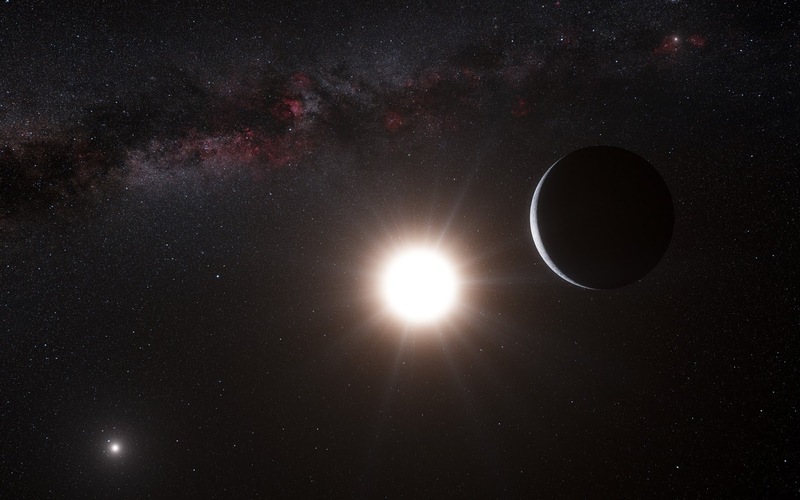 If this huge "Planet X" exists, we possibly haven't detected it because it's too far away. At such a huge distance it would seem nearly 200 times dimmer than the Sun appears from Earth. Or there might be some completely different description for why those unknown objects seem to have the same orbital pattern. The bottom line is that the scientists don't know enough yet and they need more evidence and observations. The scientists based their observations on only 12 of these external Kuiper Belt objects, and the orbital arrangement they seem to follow might disappear with future observations. In other words, it might just be a twist of fate they all appear to follow a alike path. Since Sheppard first declared distant objects in 2014, though, he's discovered more — and they, too, appear follow the same pattern. So that's more proof that "Planet X" does exist. Obviously we won't know for sure until someone observes it, but right now it appears to be like the most reasonable explanation. Mike Brown, the astronomer who found dwarf planet Eris, told The Washington Post "There is a not insignificant chance that there are Earth-mass or larger objects yet to be discovered in the outer solar system,"